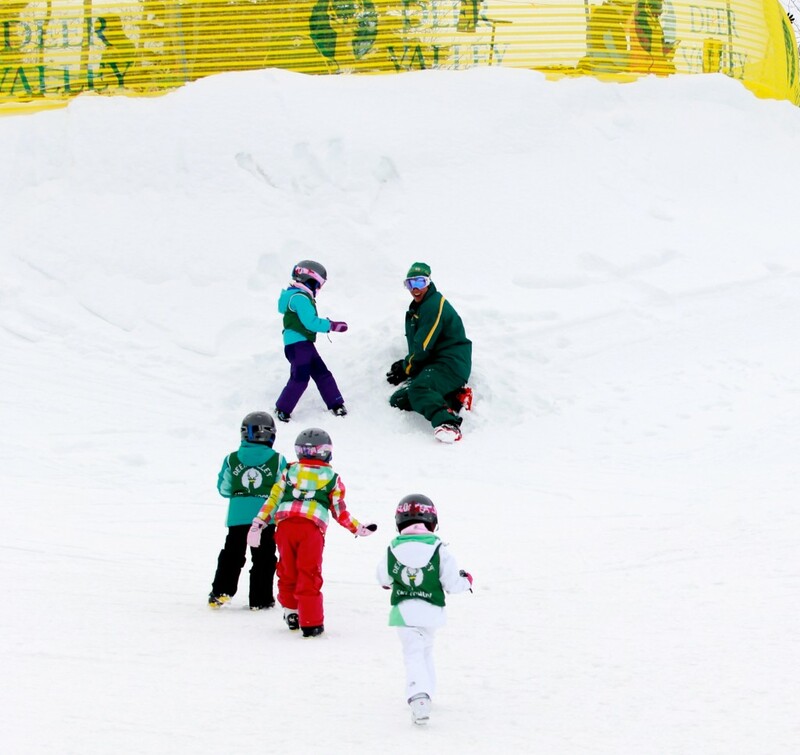 “I am a little nervous,” Norah (age six) shared as we drove to her ski lesson at Deer Valley. I’ll admit there was quite a bit of anticipation for this “first ski lesson trip to Utah” for this California family. 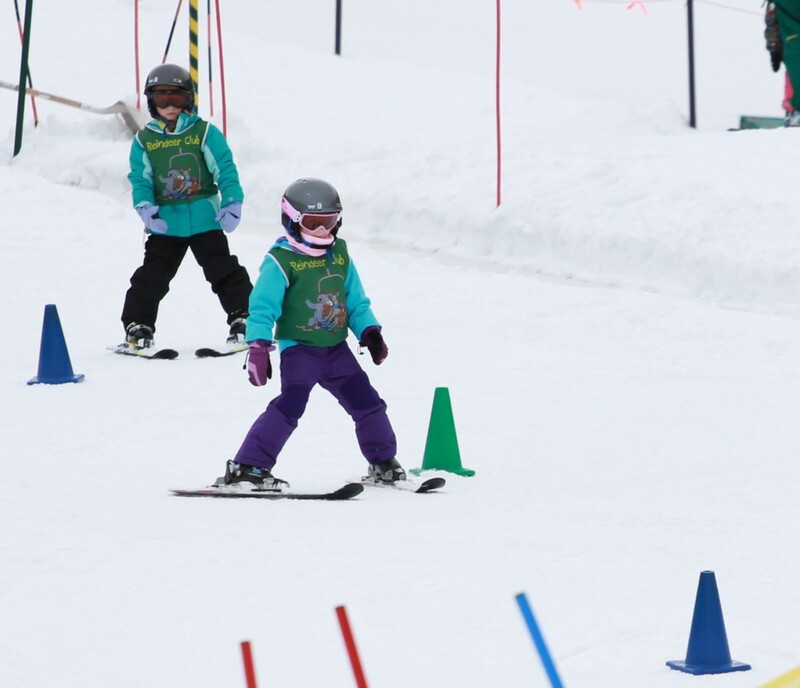 My husband, her grandfather, learned to ski at the age of 65 just to be able to ski with her! Once in the Reindeer Room, she waved us off and headed over to her table and started coloring with her new friends and coaches. In no time, it was out to the snow. 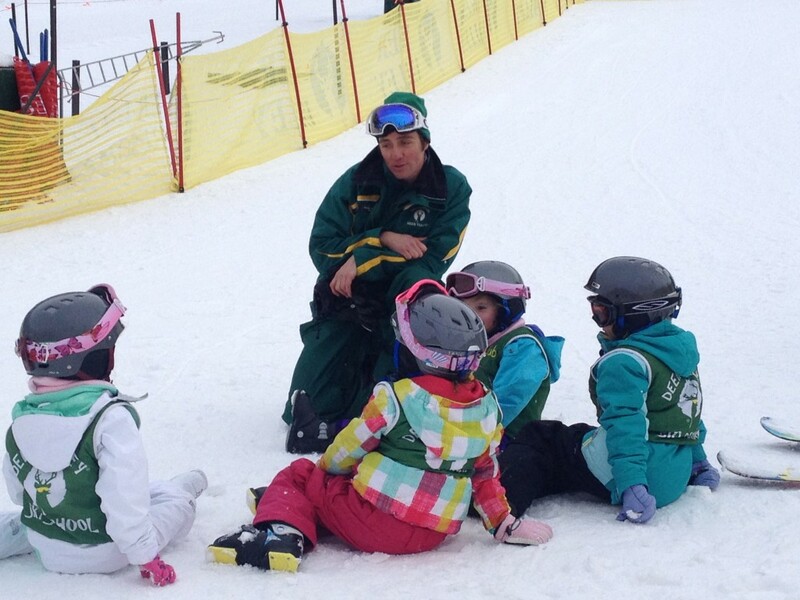 Their coach, Daniel, had his class of four little girls on the magic carpet and learning mechanics. Their little hands grazed the tops of small orange cones as they navigated around them. With one hand in the air, they looked like little airplanes making turns. As they returned from lunch, from the observation deck, we heard squeals of laughter in such a high pitch that they could only be uttered by 5 and 6 year old girls. A friendly snowball fight was in progress. In the afternoon, these girls were all over the place! Following their coach, they attacked Wide West, taking the Burns and Snowflake chairlifts. They hit Candyland and zig-zagged their way through the hoops course. At day’s end to an outside observer, Daniel appeared to be a coach of four future Olympic athletes getting their debrief of their training session on the snow. You never know, one of these girls moving from “pizza to french fry” could someday stand on a podium. 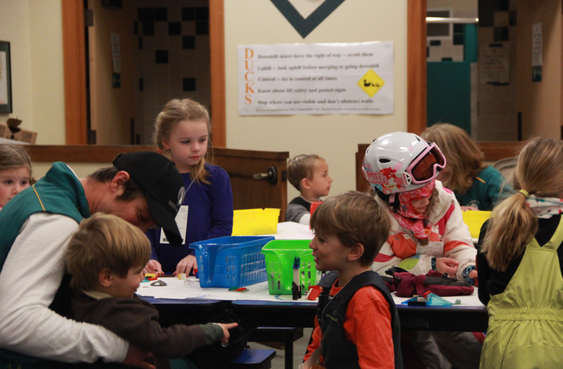 Whether these 5 and 6 year old skiers ever receive the highest ski honors or whether they end up simply loving the sport, you can’t deny they got an excellent start at the Reindeer Club. In Norah’s case, of course, her Mom’s and her Grandmother’s sage advice rang true. 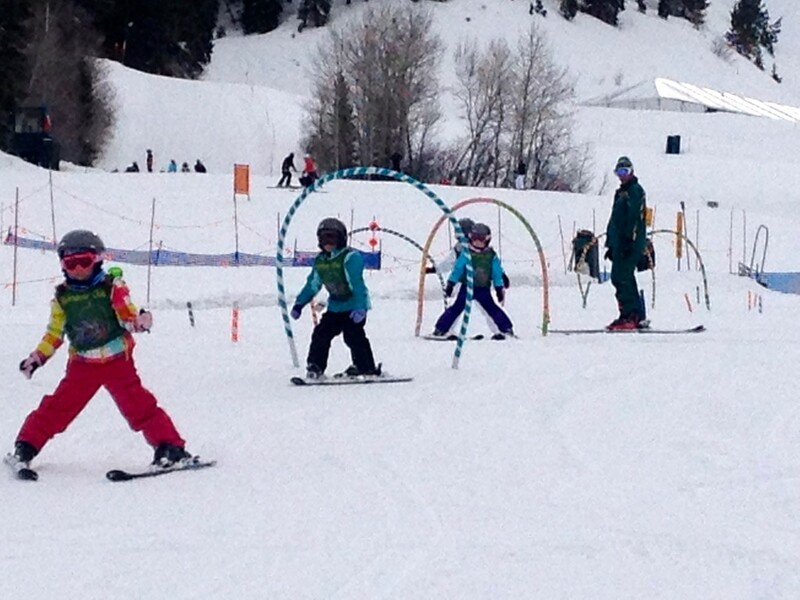 Their teacher was fun and nice AND Norah’s great ski adventure has truly begun. Love, love, love this!!! 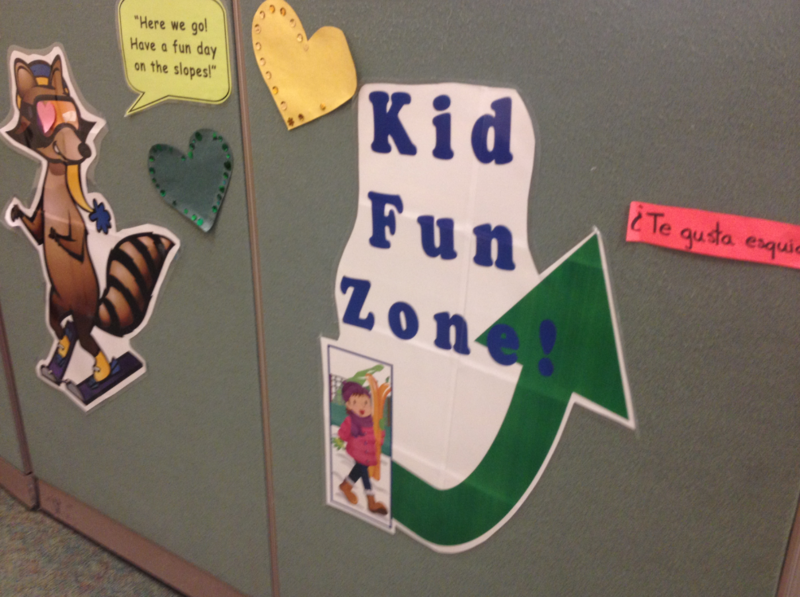 Such a great program for kids!! !